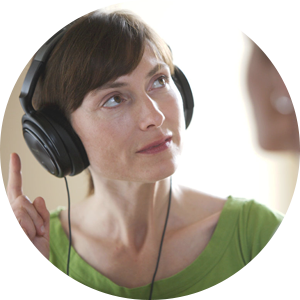 Helpful online hearing care tools to get you started. 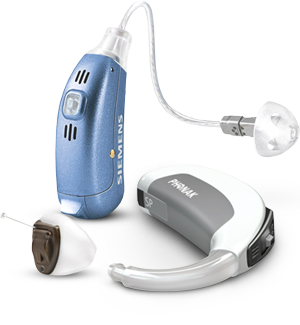 Our hearing aid guide and online hearing test can help you learn about hearing healthcare and also help you decide if hearing aids are the right choice for you. Hearing problems, even mild hearing problems left untreated, can lead to isolation, anxiety and depression. Withdrawal from personal relationships, rejection by others and danger to personal safety may be related side effects of decreased hearing sensitivity. We specialize in providing complete hearing care services including comprehensive hearing evaluations, hearing aids, education and counseling. Our goal is to improve the lives of people with hearing loss through better hearing and quality hearing care services. In order to meet your individual hearing needs, we may refer you for medical treatment, if indicated; or, recommend hearing aids or other assistive listening devices. We work with your physician, most medical insurance providers and have access to all major hearing aid manufacturers to provide YOU, the patient, with the EXPERT ADVICE, PERSONALIZED CARE, EXCEPTIONAL VALUE you deserve. Our goal is to improve the lives of people with hearing loss through better hearing and quality hearing care services. We look forward to meeting you and serving all of your hearing needs. We are here to help. Contact us with any questions or if you would like to schedule your appointment. Trade in your your hearing aids and receive $500 for each hearing aid less than 5 years old and $300 for hearing aids more than 5 years old!